engineersakristan | Do Good. Live Simply. Pray. Do Good. Live Simply. Pray. 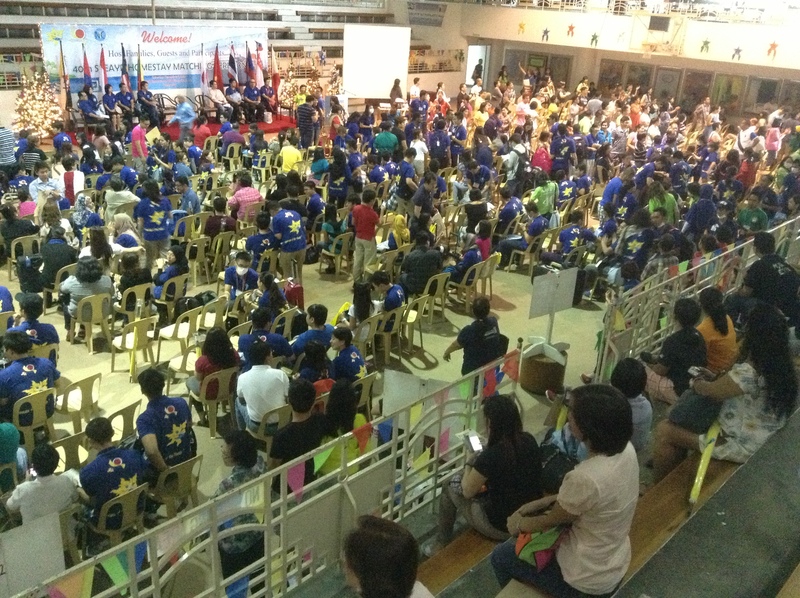 This is a continuation of our experience as a host family for the 40th SSEAYP. I made this two weeks ago but opted not to post without photos coming from Non and Kite. Second day was jam-packed. The four of us (King, Non, Kite, and I) woke up at 7am to attend the 8am mass in our parish. I asked both of them the previous night if they’re going with us thinking we have different religions. They are both Buddhist but they said yes. I was actually happy because showing the 212-year old Our Lady of the Pillar Church is always part of the itinerary whenever we have visitors. As usual, King and I were always not on time. Non and Kite were ready by 7:45am. We decided to take the tricycle for them to experience. The mass had not started when we arrived so we toured them around the church. They also met our fellow Altar Servers. Both of them brought their cameras to take pictures of the mass and the church itself. 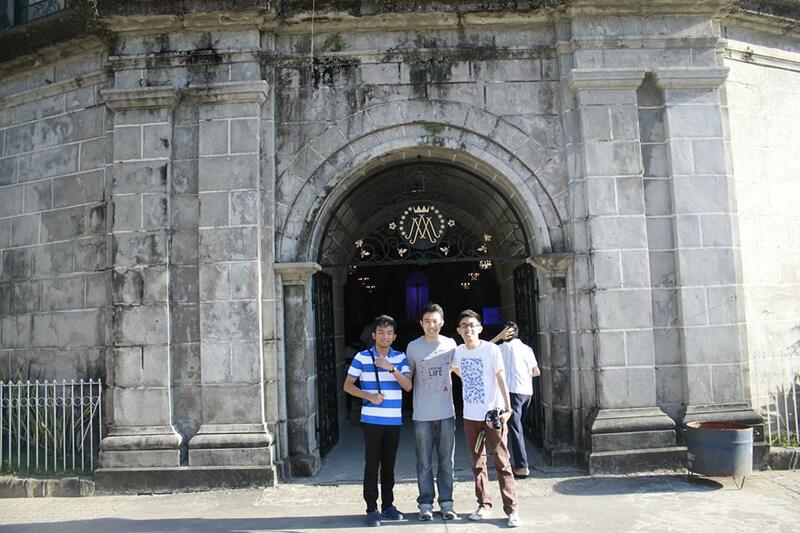 Kite, Non, and King pose in front of Our Lady of the Pillar Parish, Pilar, Bataan before the mass. During the mass, I was explaining to Kite what’s happening (the mass was in Filipino), why we do that, what’s that in English, etc. Non is not new with how the mass is celebrated as he lived with a Catholic host family in the United States for one year. Kite, on the other hand, mentioned that he has a friend in Myanmar who is a Catholic. 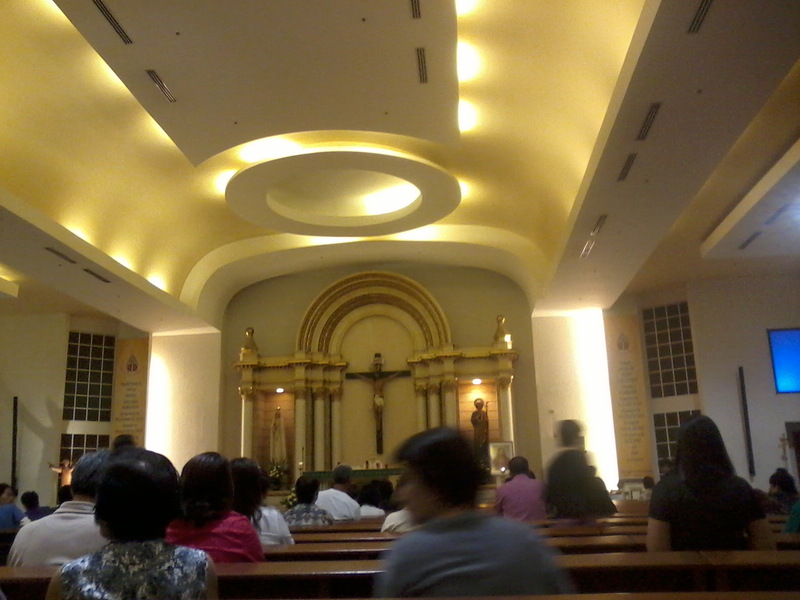 After the final blessing, we approached our parish priest and did the usual “pagmamano“ (placing of hand onto forehead). Surprisingly, Non and Kite who were at our back also did it! Seeing them doing the acts that we regard as sign of respect made me happy. Before going home, we ate “taho” (soya with sugar syrup) and visited our grandmother lying in the cemetery. I showed to them how we bury our departed ones and how social status still separates the rich and the poor even after death (public and private cemeteries). I told them also the cost of a mausoleo (“musoleo”) which is around million pesos (exaggerated). 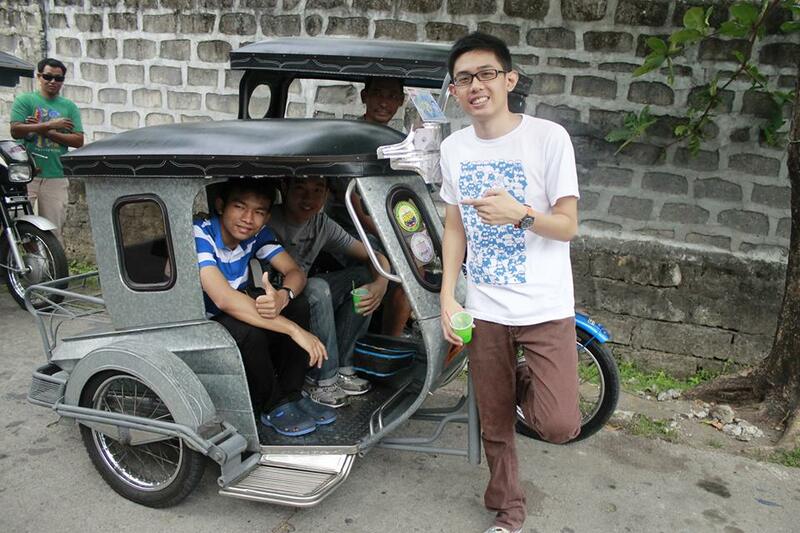 Then, we decided to go home by tricycle. Back in our home, we served “tinapa” (smoked fish), salted egg, chopped tomatoes, adobo, fried egg, and rice. After that quick breakfast, we left our home at 10am. 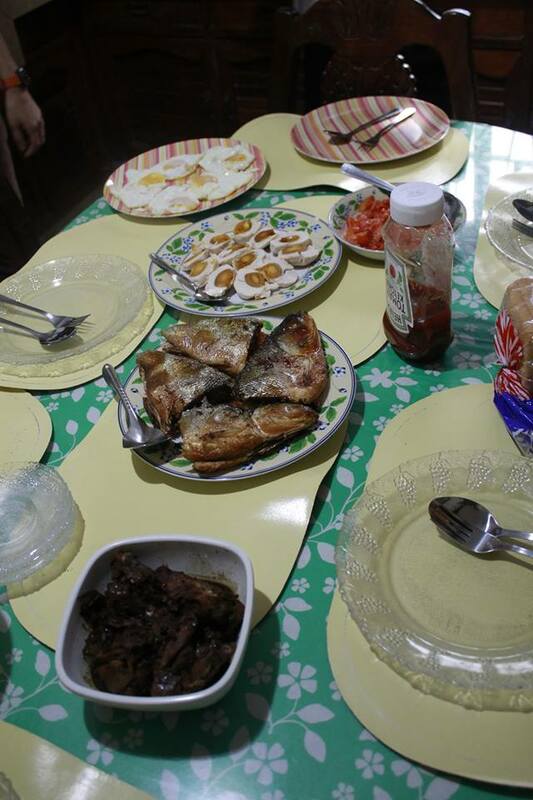 This is actually our usual breakfast at home. We want them to experience a real “homestay”. Next stop is Mt. Samat. We first dropped by at my Auntie’s house for them (Non and Kite) to meet our Lolo (grandfather) and Aunties. Then, we went straight to Mt. Samat. Inside the car were Papa, Mama, King, Christian, me, Non, Kite, and Uncle Jack. As usual, I was more excited than Non and Kite to show the breath-taking view while going up. Again, it’s my nature. I’m very eager as always. 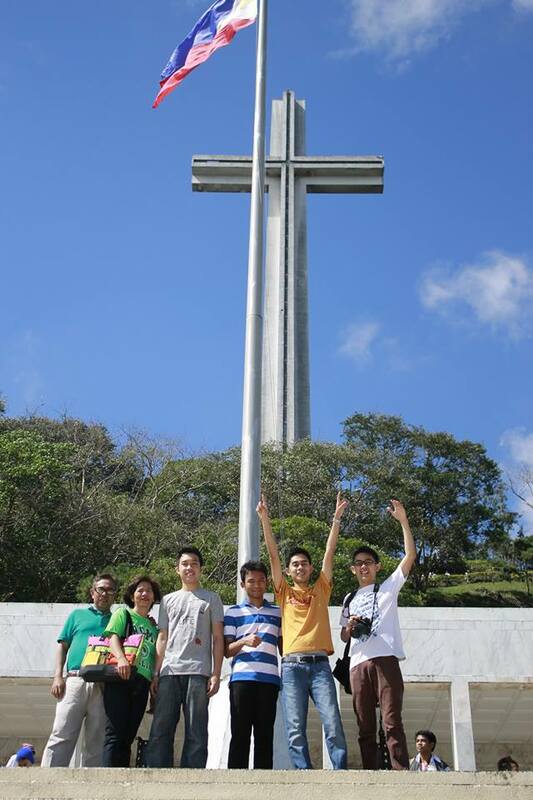 When we reached the gate on top of Mt. Samat, one of us recalled that one of my mom’s previous students was a security guard there. Even if he’s not the one collecting entrance fee, we were given discounts after mentioning his name (there’s another story about this at the latter part of this post). We parked our car at the parking area near the foot of the cross. By that, we would have to start at the top of Mt. Samat (from the cross taking the long stair going down the Filipino-Japanese hall and then to the underground museum). Too bad. The elevator inside the cross which could have allowed us to see the entire province from the cross was not working. Anyway, they still enjoyed the sights while going down the stairs. As their tour guide, I shared my experiences of playing melodion (small piano with air tube) in the Fil-Jap hall when I was in grade school. We used to perform every Fil-Jap Friendship Day. Battle of Bataan story engraved on the walls of Filipino-Japanese Friendship hall. Before we entered the underground museum, we had met Mario – the security guard and mom’s previous student. We told him about the discount and he told us that if he was at the entrance booth, it would be totally free (more of this issue below). Then, we went inside the museum where remnants of World War II were kept. Cameras are not allowed inside. Before we left Mt. Samat, we took more pictures of Non and Kite. 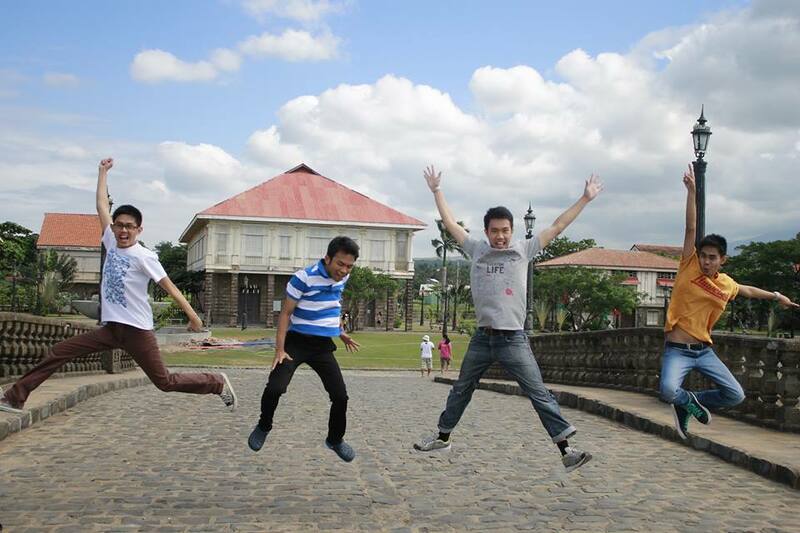 Next in our itinerary was Las Casas Filipinas de Acuzar. The place is regarded as a place of collection of old Spanish houses in Luzon. As some of you might have been there, there is a tour schedule for the visitors. We chose the 1:30pm schedule. Since we still have enough time, we ventured the entire compound and told some stories about the houses. I’ve been there a couple of times so I sort of memorized the stories for each of the houses. Lol. Bridge connecting Las Casas and the beach. Stairs beside Lola Basyang (grandma reading stories for her grandchildren). Before the tour, we had our lunch at one of the Casas inside. It’s a Filipino-Spanish Restaurant. This time we ordered pork binagoongan (pork with shrimp paste), sinampalukang manok (chicken with tamarind soup, not sure of these translations haha), sinigang na baboy (same as in Kanin Club), beef pochero (tomato-based stew), and rice. After lunch, we had our tour. 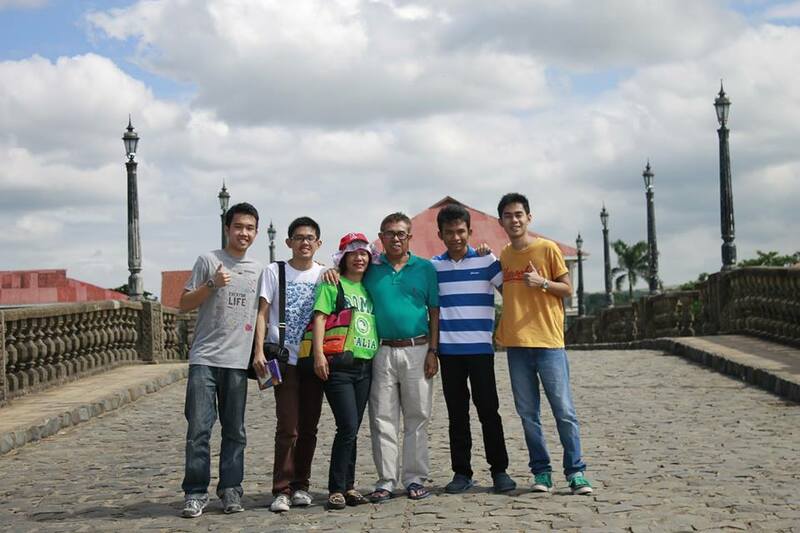 This time, let me commend our kind, witty, and competent tour guide. Before the start, I requested her to do the talks in English. We went inside the houses and again and again, for the nth time, I was still amazed by the façade and rich culture of our ancestors during the Spanish era. I hope Non and Kite appreciate them too. By the way, together with us (by coincidence) during the tour were Ms. Dador (Department of Education official in our province) and her nephew priest. The tour ended at around 2:30pm. As a compliment, we were given cold towels to refresh ourselves. And the towels were ours already unlike before that we needed to give it back to them. Maybe it’s more hygienic to keep them rather than reusing. 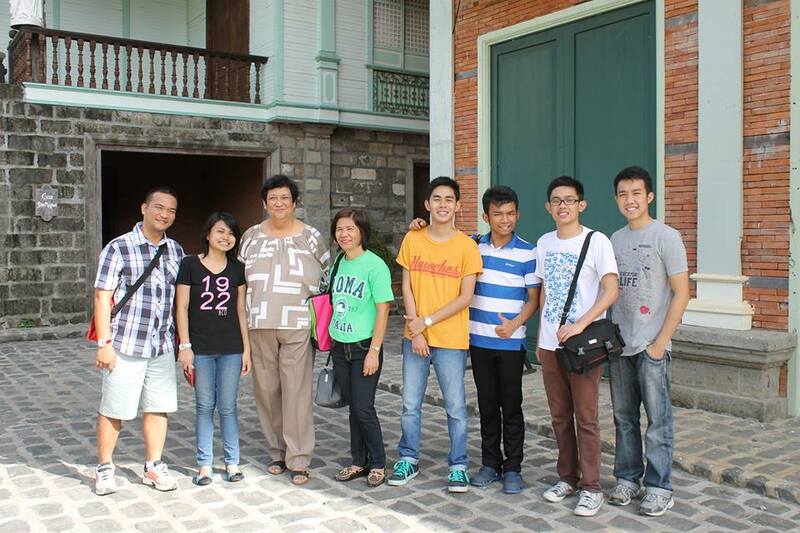 Ms. Dador (3rd from left) together with her nephew priest (most left) had a group photo with us before parting ways. We headed towards Subic, Olongapo City. Freeport zone as I described it to Non and Kite. 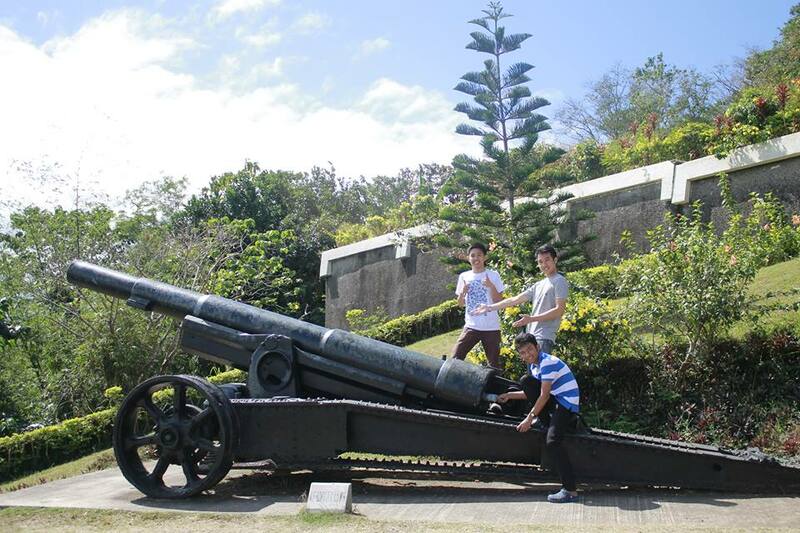 It was my first time to go there by taking the Morong-Subic road. It’s not the usual route as Morong is far from the city especially if you’re coming from Manila. We hardly see other vehicles during the trip. The place was like a virgin forest with monkeys and tall trees. Our car was still two-week old during that time and it’s very unfortunate that as we drive along the forest, a small seed coming from a tall tree fell exactly on our windshield. Luckily, it didn’t collapse completely. We had to take pictures of it for the insurance company. 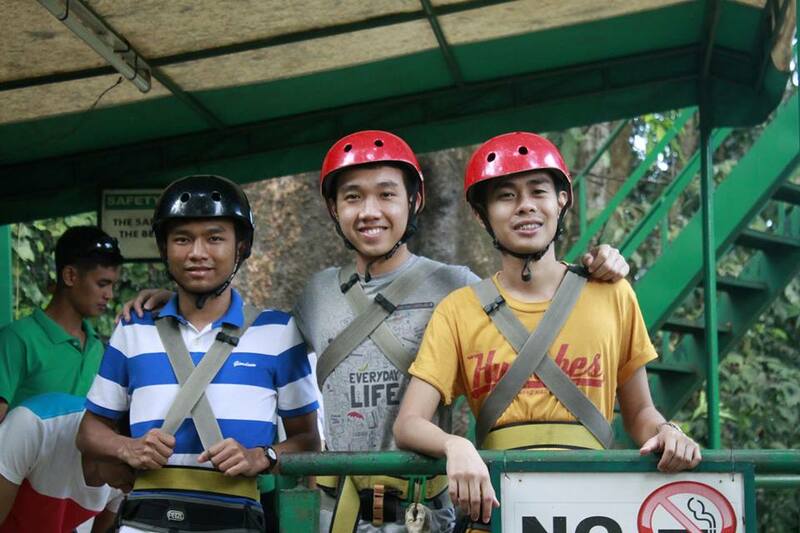 As time is precious, we went directly to Subic Treetop Adventure, another first time for me. It was already closing time so we decided to try only one ride which was the zip-line. Honestly, I was afraid to try the free-fall and we value the safety of our guests, haha. Zip-liners. Taken before the action. 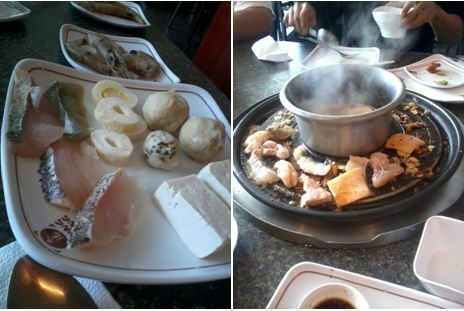 We had our dinner at Harbor Point. Guess where? In a well-known Filipino fastfood chain—Jollibee. 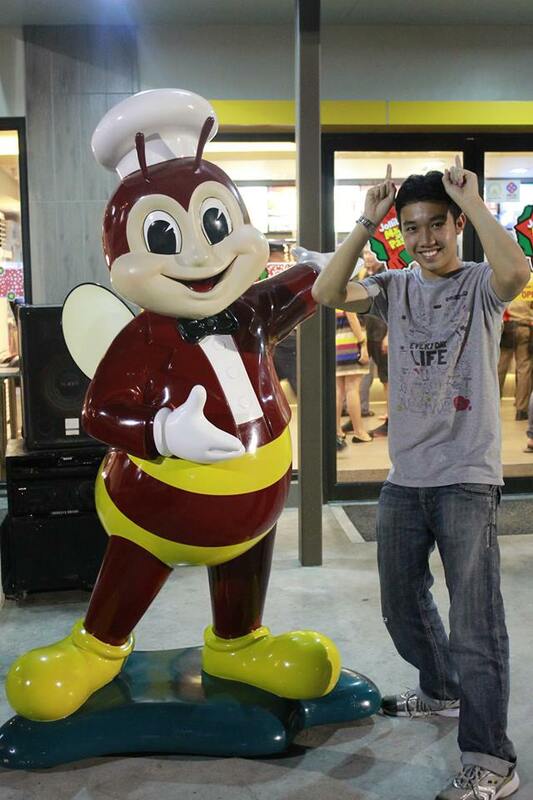 Jollibee is already part of Filipino culture. Haha Two pieces of chickenjoy (fried chicken) and rice for Kite and one piece of chickenjoy, rice, and burger for Non. Mom, King and I left them there after dinner to buy souvenirs (Starbuck’s Manila Tumbler) for Non and Kite. We have no time because they’re leaving next day morning. And while were away, they had this picture taken, haha. 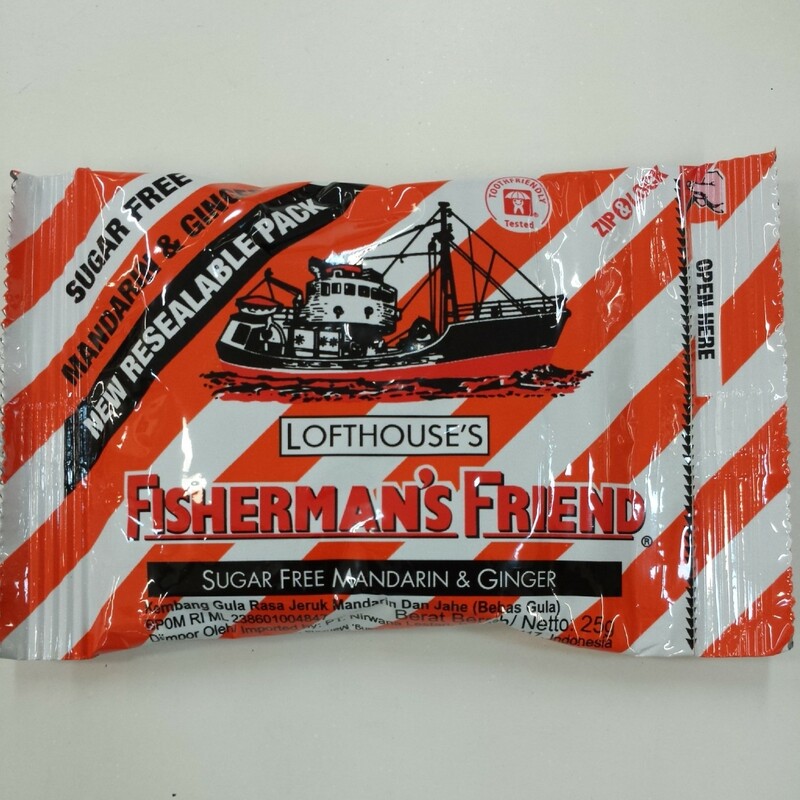 Trivia: Before dinner, Non was looking for a pharmacy to buy “Fisherman’s Friend” for his sore throat/cough. Honestly, I haven’t encountered/heard that before. Shame on me. I even asked him if “Fisherman’s Friend” is a common name. Or is it like Strepsils? Lol We went to a Mercury Drug and unluckily, they only had Strepsils. Last week, I bought Fisherman’s Friend to try it. Haha Here it is. I had a sore throat last week. So to try it, I bought one pack. Going back to Bataan, we took the expressway because it’s nearer and Morong-Subic road is (for me) dangerous at night. The ordinary Sunday was made especial because God made it meaningful and safe for us. We arrived home already late. Again, Non and Kite updated their friends and relatives through internet before going to bed. However, because of my body clock, I fell asleep with their conversations. One interesting topic that I didn’t hear was relayed to me by King the next day. I’m not so sure of the exact story. Non told King a story of his friend having a project that sources funding from the Thai government. Because Non’s friend has another friend in their government (Navy? ), he was able to collect more of what is needed. Excess goes to his/her pocket. Non surprisingly related this “padrino” system to what had happened to us earlier. Little we knew, Non considered us getting discount from my Mom’s student as “padrino” system. And he is certainly right. Sometimes, we, Filipinos, value “debt of gratitude” or “utang-na-loob” even if it would cause us to break laws. What had happened to us is a small act of the guard’s repayment to my mom as his teacher which is technically unlawful. This has become a norm in the society. The entrance fee is allocated for the maintenance of Mt. Samat Shrine. After all that happened during the day, this is the greatest lesson I learned. It’s good to have someone from a different culture see how we live. Perspective from the outside is a good way to see what’s happening inside as a whole. God sent us not only visitors but messengers as well. I’m writing this because of separation anxiety (SA). Maybe by writing I could easily recover. That’s one of my weaknesses. I must admit that I get easily emotional even over a not so ‘drama’ topic/issue/experience. Very appreciative-that’s the term. I’m prone to SA. I had this heavy feeling for two weeks after joining International Youth Climate Forum back 2010 in Makassar, South Sulawesi, Indonesia. The bond between me and other delegates (Indonesians, Filipinos, Malaysians, Bangladeshi, Egyptian, South African, etc.) got stronger as we traveled, laughed, sang, and slept together in the Navy Ship of Indonesian government. I can still remember how some of the delegates cried (Jean Parami, my university friend/classmate who’s with me during the program) while bidding goodbyes to us, Filipino delegates. Some also accompanied us to the airport even if their flights were still on the next day. It was not the last international program that I suffered from SA after parting ways. 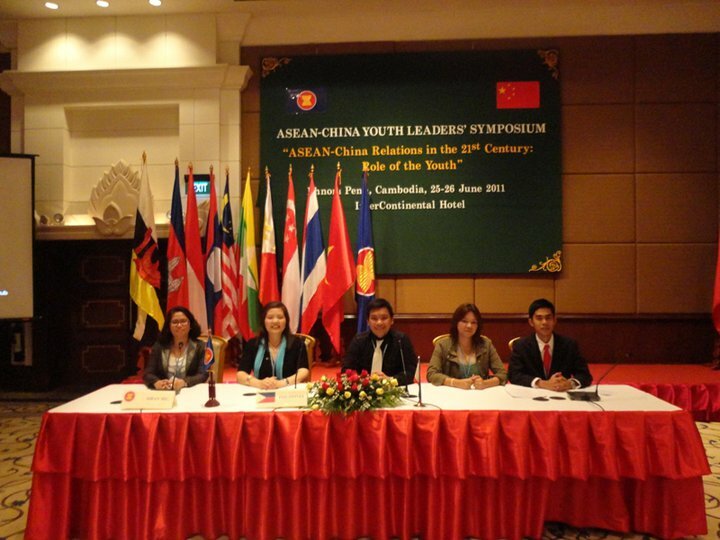 I had to also move on from three more friends from the ASEAN Youth Leaders’ Symposium in Cambodia last 2011. 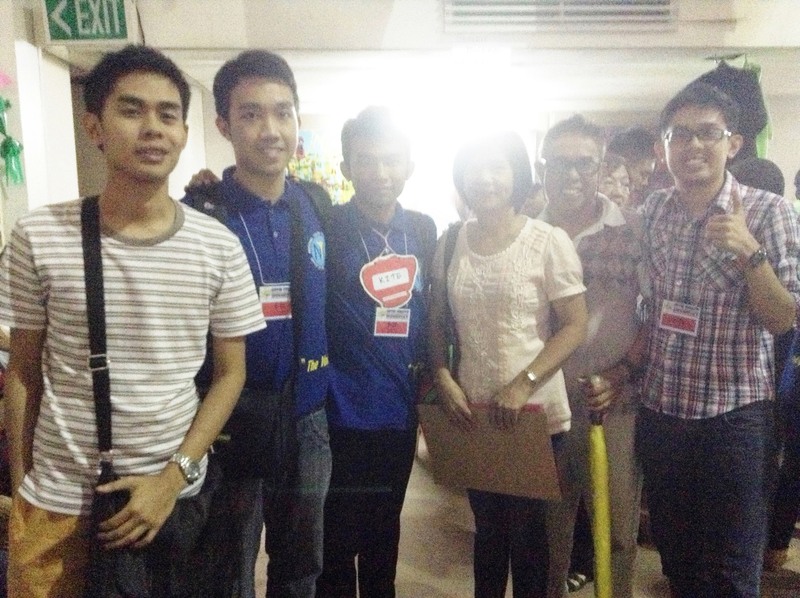 Second from left is National Youth Commission Commissioner Georgina Nava. Next to her: Niko Guillermo, Kristel Mendoza, and me. This time, I’m dealing again with SA. My brother King, a delegate of JENESYS – a program sponsored by the Japanese government giving Filipinos the chance to stay in Japan for 10 days in a host family, volunteered our family to be a host family in this year’s 40th Ship for Southeast Asian Youth Program (SSEAYP) here in the Philippines. 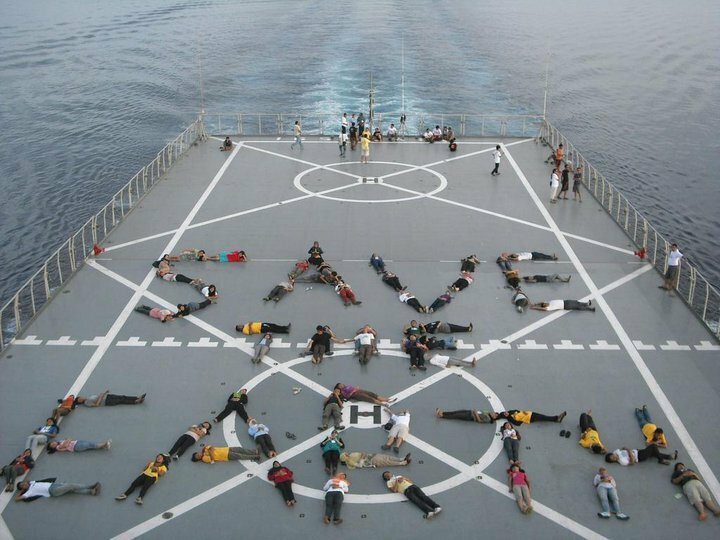 Around 300 youths from Japan and the ASEAN member states get the once in a lifetime chance of living together in a ship for almost two months. The ship traveled around six of the said countries starting from Japan and will also end in Japan. Itinerary for this year is Japan-Vietnam-Thailand-Laos-Singapore-Philippines-Japan. Participating Youths (PYs) lived with different host families in each country. We had already known who will be our PYs even before they arrived in the Philippines. They are Pavares Wiwatwongthorn – a Thai Participating Youth (TPY) and Kyaw Htet Soe – a Myanmar Participating Youth (MyPY). Yeah, their names were so hard to pronounce. I planned to call them “Pavs” and “Kyaw”. The day (December 7, 2013 Saturday) came when my family and I had to meet them in the “Matching Ceremony of PYs and Host Families” in GSIS Gymnasium in Pasay City. We needed to be there at 1PM. With me were Papa, Mama, King and Tito Jack. Little we knew that we need to wait for three more hours before we finally meet the new members of our family. During the wait, my Mom, Dad, and I feasted on the Filipino food prepared by the organizers. 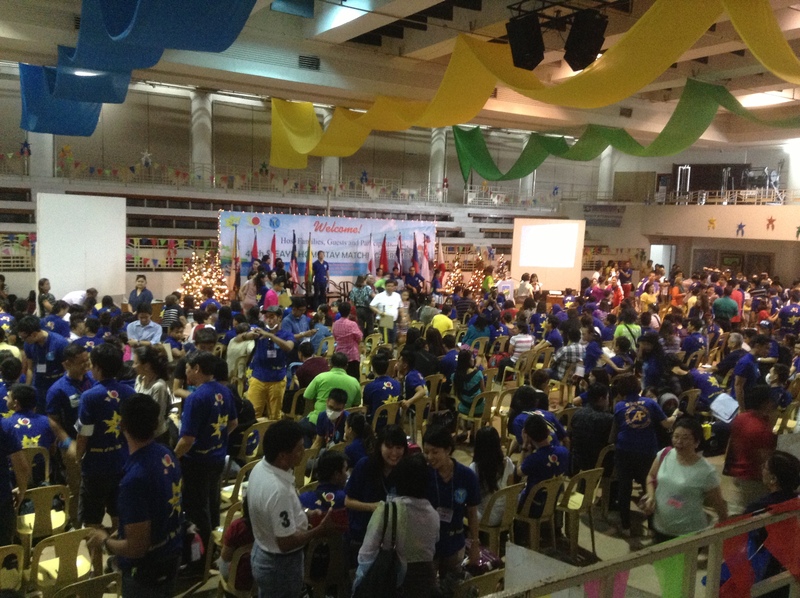 The organizers of the said Matching Ceremony were composed of Philippine Participating Youths (PPYs) alumni, organization of host families and National Youth Commission. One interesting thing, the program host was a 1979 alumna. By the way, SSYEAP started in 1974. Even the other host families were PPYs alumni. There was this teacher who is a consistent host since 1990s. Finally at 4PM, the PYs entered the gymnasium. Group F entered first. PYs were mixed securing that in every family there would be no PYs coming from the same country. Our family code was F11. Since there were only three chairs dedicated for our family (2 PYs and one family representative), King was the one to represent while the rest of us sit on the bleachers. “Kyaw” was the first to approach King. “Kyaw” also saw us from his seat. The next groups went in. E, D, C, B, and A. Yet, “Pavs” was still not around. King asked the organizers and they told him that they’ll look for him (Pavs). PYs entering the hall (with Mama and Papa sitting on the bleachers). King and Kite looking at us from their seats. Later on, another batch of PYs coming from different groups came. Their bus had a problem leaving them behind. I saw “Pavs” from afar and we’re now complete. PYs during the short program. As I observed from our place, “Kyaw” is an interactive guy. He talked with King and had a wacky pose when I took a photo. Meanwhile, “Pavs” walks from here and there to meet some PYs. So honestly, I thought we would have to adjust. The program ended. We went to the court and met “Kyaw” and “Pavs”. I asked for their nicknames and that was the time I started calling them Kite (“Kyaw”) and Non (“Pavs”). Ready to leave the gymnasium. The PYs were welcomed by the heavy traffic of Metro Manila. 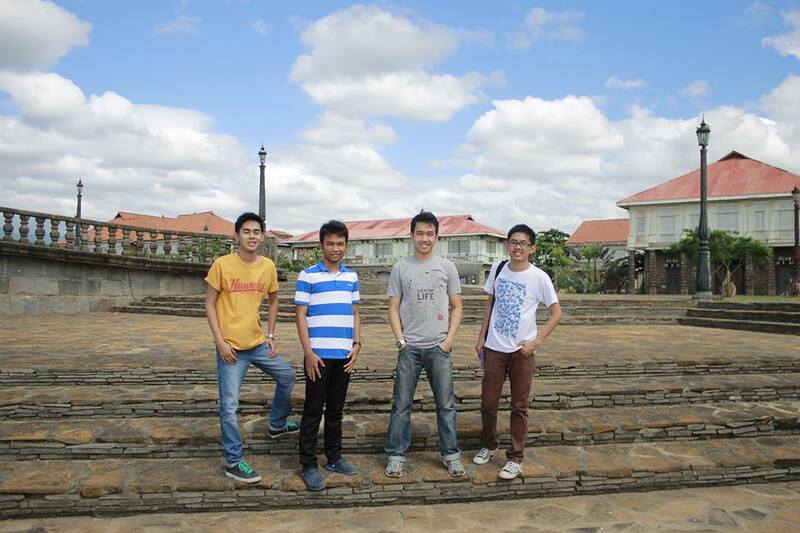 We needed to fetch Christian (my youngest brother) at University of the Philippines Diliman (UP). We arrived at UP at around 6 PM. 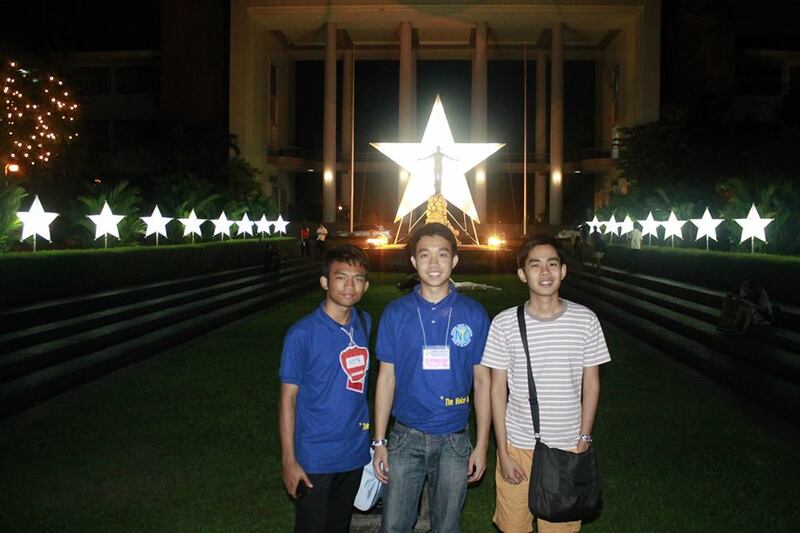 Because Christian was at Quezon Hall, we had our picture with Oble (Oblation statue) without King and Christian. We have this myth that UP students who pose with Oble will not graduate on time. 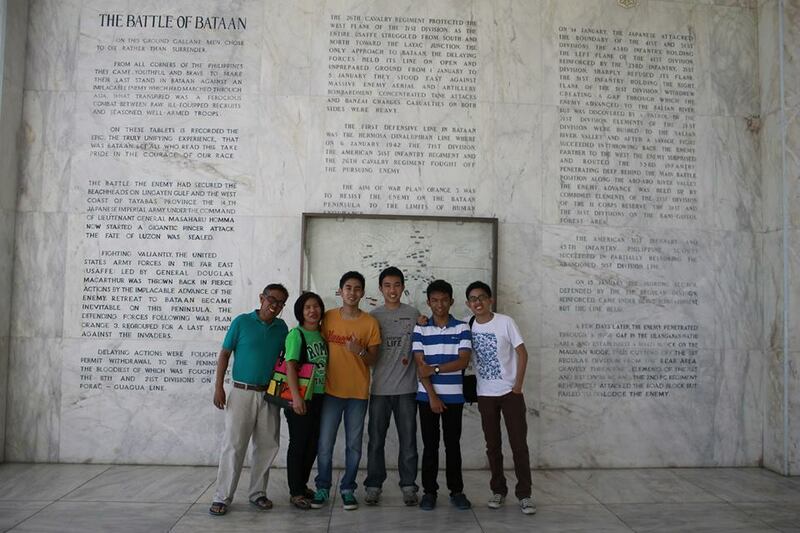 Photo in front of Oble (Oblation). 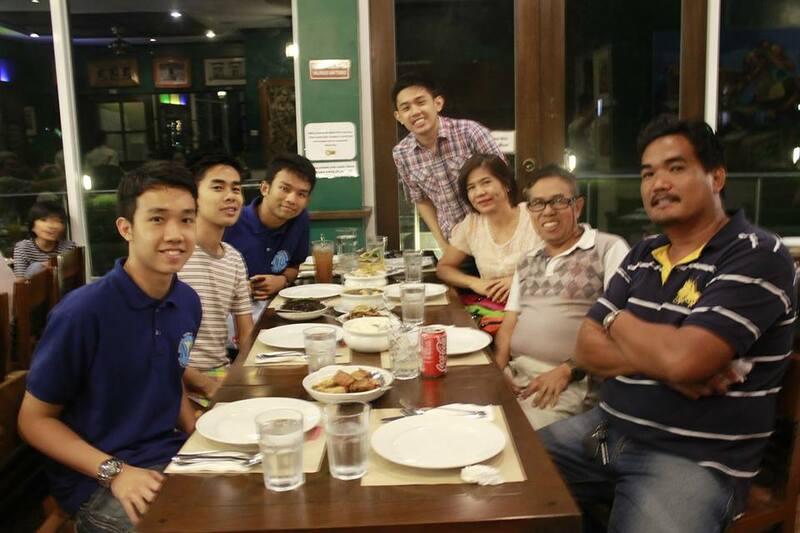 We had our dinner at Kanin Club Technohub, Quezon City. Because of the barriers set by traffic enforcers we needed to take a U-turn in Tandang Sora. Unfortunately, after the U-turn, we missed the very narrow entry slot to Technohub. So we needed to take another turn. Anyway, Non and Kite were able to take a glance of our very own Disneyland (just kidding) in Quezon City – the main Iglesia ni Cristo. (No offense, I just recalled how some of my university classmates describe it). 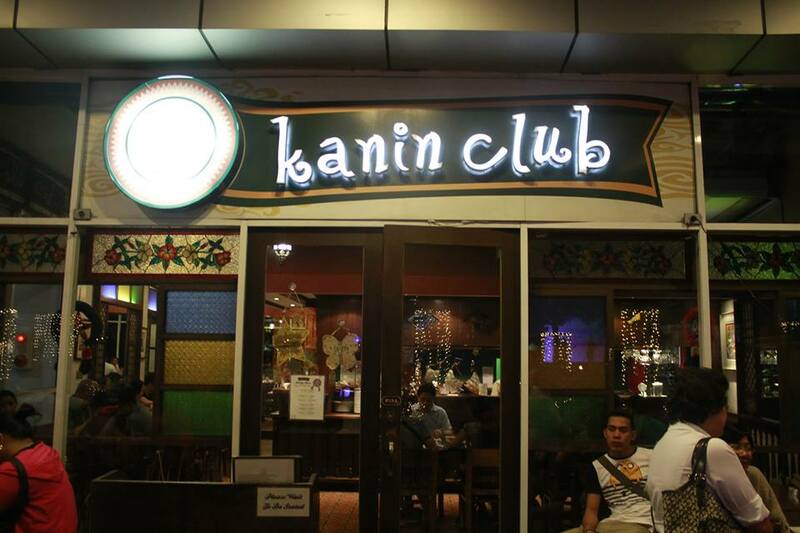 Back to Kanin Club, we ordered Sinigang Rice, Binagoongan Rice, Crispy Dinuguan, Chicken Adobo, mushroom, etc. 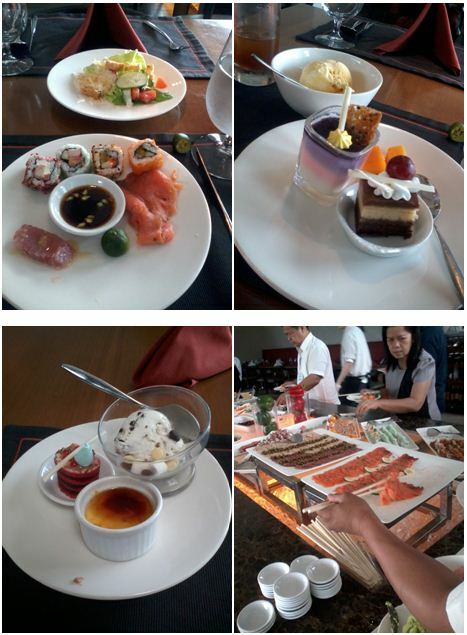 We wanted them to taste Filipino cuisine. They’re both Buddhist and they have no food restrictions. Non has a sore throat/cough that time so halo halo was a no no. Iced tea for Kite and water for Non. After dinner, we drove to Bataan. 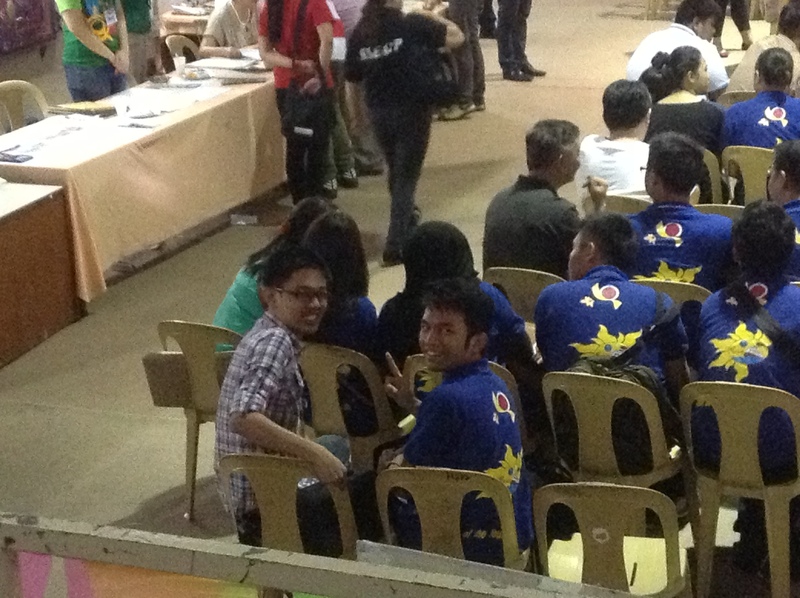 Non and Kite had the longest time travel among other delegates. Most of the host families were in Metro Manila and there was one in Laguna. They were probably too tired during the entire trip. I saw Non sleeping most of the time while Kite was less sleepy. Maybe Non’s cough added to the stress. We arrived Bataan at 9PM. The two houses were ready. We used our other house (in front where our family stays) as the billeting (sleeping) area for Non, Kite, King and me. We stayed for a while in our residential house. Non and Kite checked their facebook accounts (other social networking) to update their parents and friends. Afterwards, the four of us were accompanied by my parents to the other house. It was actually my first time to sleep there! We took our rest and thank God Day 1 was successful and grace-filled! More adventures await us the next day. Ang Biglaan. Ang Planado. Ang Palagian. 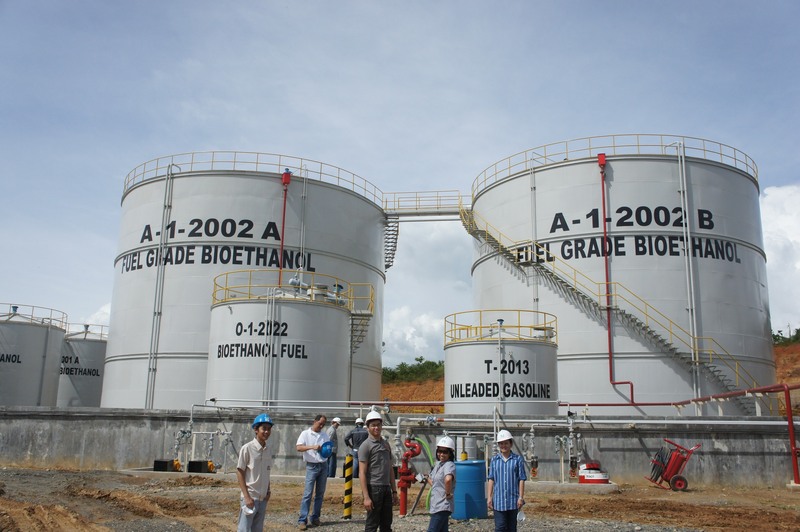 Wednesday ‘pag pasok sa office, sabay pasok din ng notice na kailangan daw i-witness/validate ang denaturing activity ng isang bioethanol plant sa San Mariano, Isabela. Okay sige. Pero ang twist, bukas (Thursday) na raw ang flight bound to Tuguegarao. Anuman ang mga concerns na ‘yan, natuloy pa rin ang Biglaan. Liblib na lugar ng San Mariano, Isabela. Nasubukan ang plant design skills. 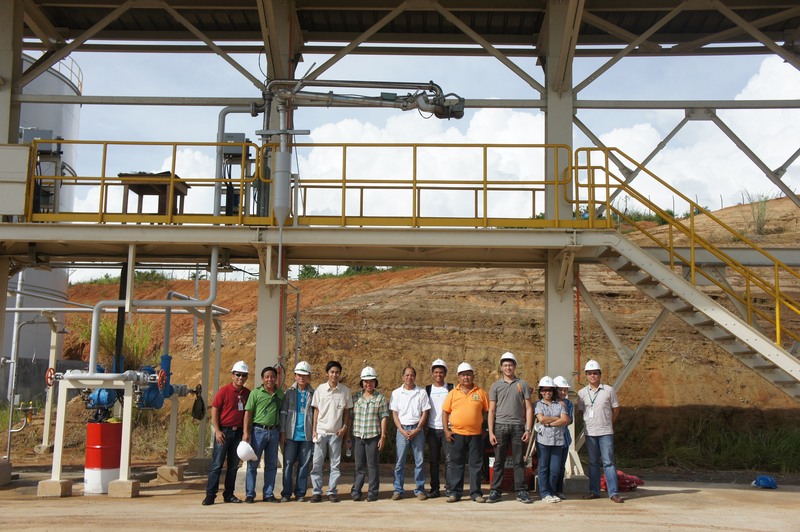 ‘Wag pansinin ang ‘di pagsuot ng hard hat. 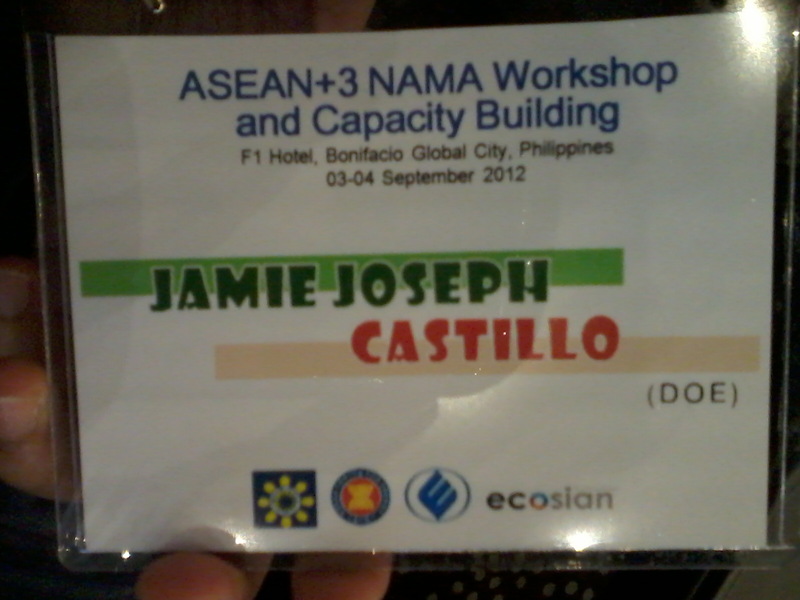 Capacity Building on Nationally Appropriate Mitigation Action kasama ang mga KOREAn counterparts. 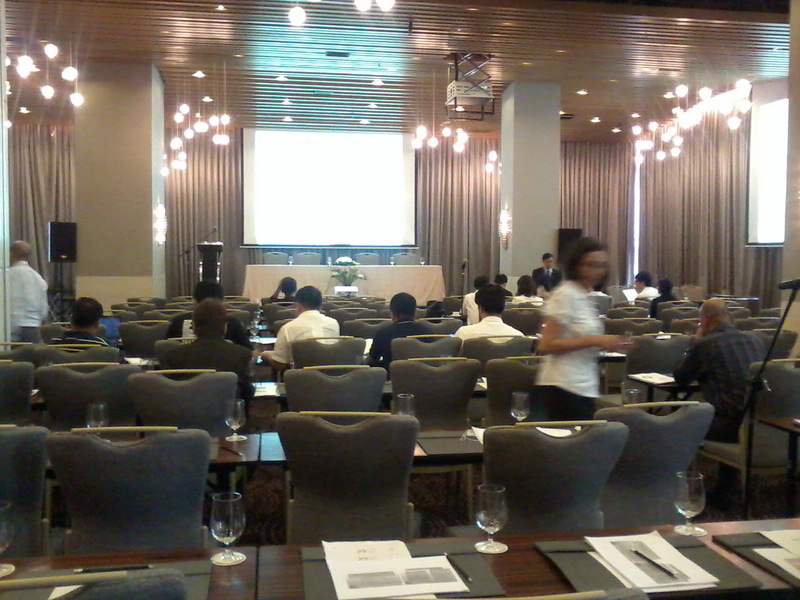 Highlight ng seminar: Buffet Lunch. Pumwesto sa likod. Alam na. 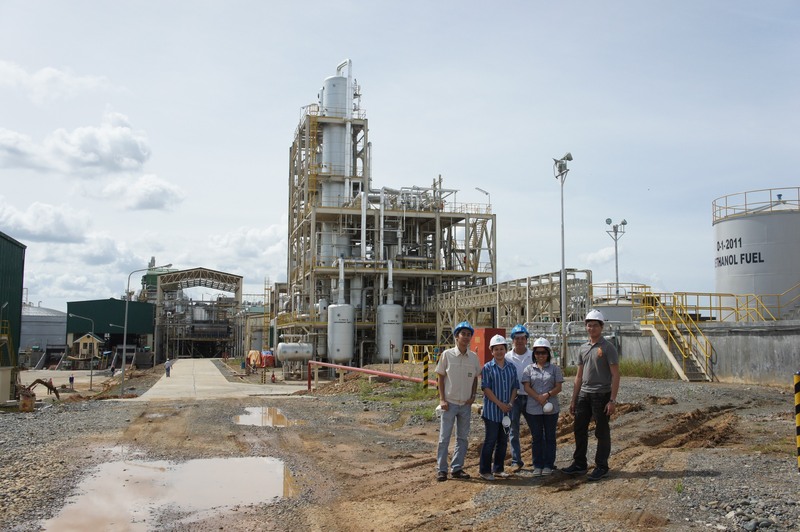 Biomethane Plant Monitoring. Ang araw na ‘to ay mountain climbing–sa Payatas. Namiss ko ang amoy ng municipal solid waste. Syempre, nadaan ako sa Justice Cecilia Munoz Palma High School-ang aming sponsored school every year to render review series. Thanks to UPSCA, may background ako sa Payatas. Sa parehas na araw ng Planado dos, ay ang aking pagsadya sa Megamall. Hindi yun. First Friday mass ang hanap ko. Bonus. Nahanap ko rin ang isang UPSCAn sa loob ng misa. Biglaan man. Planado man. O Palagian. Kailangan ibigay ang buong sarili. Gawin ang nararapat. At sa bawat gawain na matatpos, magpasalamat sa Kanya. Siya na dahilan kung bakit buhay ka pa para gawin ang Biglaan man, Planado man, o Palagian. After two suspended blogs dahil gumamit ng pictures from the web without proper credits, heto na naman ako. No more nakaw-na-imahe. Tsk tsk. Nga naman, it’s still a form of stealing. Pero papaawat ba ako kung gusto ko ulit mag-try magblog?